Posted February 4, 2014, in Student Alumni. 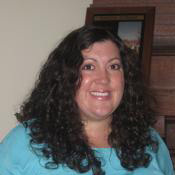 Rachelle Rankin was enrolled at Rutgers-Camden in the dual degree Political Science BA/Public Administration MPA program, earning credit towards both degrees concurrently. Rachelle is a 2013 recipient of the Jack Marvin Weiner Memorial Award for outstanding performance and leadership in the field of Political Science. She was a member of the Rutgers Honors College, the Political Science Honors Department and Pi Sigma Alpha. Rachelle assisted on a project aimed to help prevent juvenile delinquency in Cumberland County. Page last updated by Senator Walter Rand Institute for Public Affairs at 3:15 pm August 31, 2016 . This page was printed from http://rand.camden.rutgers.edu/2014/02/04/rankin-rachelle/ at 4:18 PM Monday, April 22, 2019.